Someone calls you up, claiming to be from Microsoft, and scares you into thinking that your otherwise normally functioning PC is infected. If they scare you well enough, they’ll then connect you to a remote administration software that lets “their experts take a look at your PC.” From there, a number of bad things can happen, including malware installation, data theft, or simply more scare tactics, all in an attempt to sell you some expensive program that doesn’t work – or doesn’t even exist. People all across the world get contacted by Microsoft scammers every single day, and all too often they become victims. Like many a con job, the Microsoft Tech Support scam starts out with a cold call. In this case, it was to one of our friends over at Bleeping Computer – probably one of the worst people in the world a tech support scammer could connect to. The scammer, who we’ll call Mr. Z., started his ruse by introducing himself as a Microsoft support tech. Mr. Z told our friend that he was calling about an urgent issue. The issue was that our friend’s computer was sending errors to the Window’s server, and that this was a critical problem that needed to be fixed. Being a volunteer support tech himself, our friend immediately knew what he was dealing with. There is no “Windows server” to which all Microsoft computers magically connect, and Microsoft technicians do not cold call their users about critical errors that need to be fixed. This was a straight up scam. Nevertheless, our friend decided to play along. Feigning naivety, he took the bait. He told Mr. Z that his computer had been acting funny, and he asked Mr. Z how he knew there was a problem. All too ready to supply the evidence, Mr. Z began to give instructions. You will need to open your command prompt. You will then need to type eventvwr and hit Enter. In scammer-textbook fashion, Mr. Z was making use of one of the oldest tricks in the book. The Windows Event Viewer is simply an administrative tool that displays information about significant events that occur on your computer. Scammers make use of it because “significant events” are often just little glitches, such as a program failing to launch or update. Over the lifetime of a typical computer, many of these glitches will be logged as an event, and displayed as a warning or an error, even though they are not necessarily critical– or even noticed by the typical user. As someone who works with computers on a daily basis, our friend knew the Event Viewer trick all too well, but, still, he played along. Feigning concern, he asked Mr. Z if all those warnings and errors in his Event Viewer were a problem. With the utmost seriousness, Mr. Z confirmed that they were. It was about at this point that our friend decided to share the fun. Having read about this type of thing before, he knew that the next part of the scam would be to connect to his computer with a remote administration software. This type of connection can be dangerous if given to a stranger because it allows them to control your computer. Fortunately, malware researchers have useful tools called virtual machines. A virtual machine is essentially an operating system emulator, which allows the researcher to study malware in its natural environment, without having to infect their own computer. Our friend knew that Emsisoft’s researchers used virtual machines on a daily basis, and since he didn’t have one of his own he decided to pass the scammer on to us. As expected, Mr. Z told our friend that the only way to fix the warnings and errors that appeared on his Event Viewer would be to download TeamViewer and grant Mr. Z remote control. Here, our friend once again complied; however, instead of supplying the access code to connect Mr. Z to his computer, he gave Mr. Z the access code to connect to ours. Mr. Z is connected to one of our virtual machines in Europe. He’s been told by our friend, who lives in North America, that he’s going to let his daughter take over the computer because this whole TeamViewer thing is way too complicated for him. Mr. Z is no longer on the phone with our friend from Bleeping Computer. He’s in a TeamViewer session. With us. In a typical Microsoft Tech Support scam, this is usually the point where all hell breaks loose. Malware infection, sensitive file rifling, installation of a covert backdoor for future access – you name it. Mr. Z could do anything, and we were ready for it. 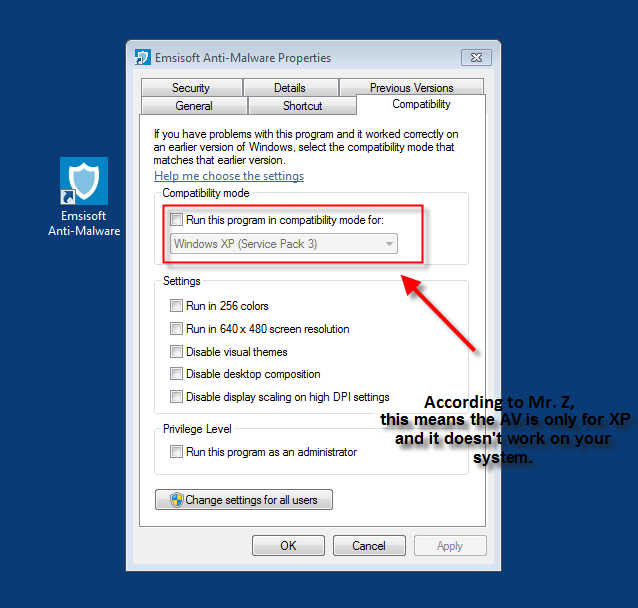 To test Mr. Z’s legitimacy, we even infected our virtual machine with malware, to see if he would notice – but notice he did not. Through it all, Mr. Z had one primary objective: scare us into thinking something was wrong, and then sell us his “support program,” which would magically fix it all. The first scare tactic Mr. Z employed was a rehash of his Event Viewer shtick. We were, after all, the original contact’s “daughter,” and we needed to know what the problem was. can you show it with the mouse pointer? Event Viewer is a normal part of your Windows PC, and logged warnings and errors are just minor glitches. To access Event Viewer on your own, open the Control Panel, then click System and Security > Administrative Tools > Event Viewer. Before he would “fix anything,” though, Mr. Z had an educational agenda. Showing us a few little event errors was not enough to achieve his ultimate goal. Like all scammers, Mr. Z needed to misinform us and instill fear. Mr. Z, in a nutshell, needed to show us which computer files were good, and which computer files were bad. According Mr. Z, good files could be deleted and bad files could not. oooh, so for good files you have a delete option and for bad files not gotcha! 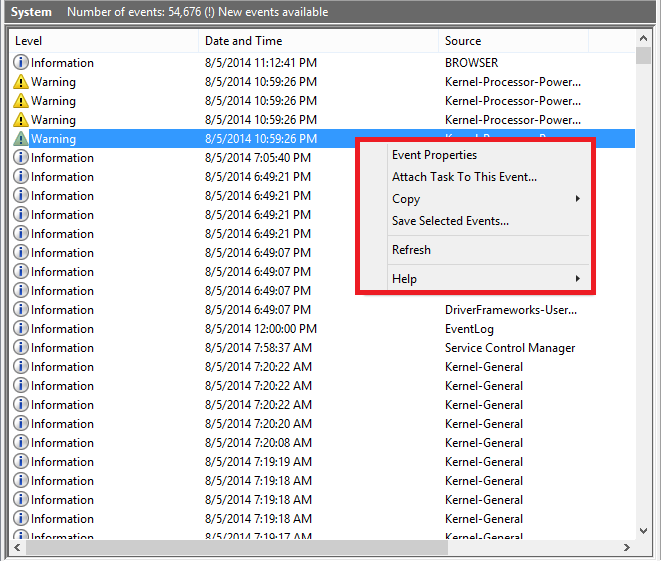 The “files” Mr. Z was trying to have us delete were really just logged events in the Event Viewer. Furthermore, whether or not a file can be deleted has nothing do with its maliciousness. Now that we were good and concerned about our evil files which we could not delete, Mr. Z needed to make it clear why these files were such a problem. According to Mr. Z, the bad, undeleteable files were disabling our services – and if it got to the point where all of our services were disabled, our computer would die. so these r the services which z very important to your computer , n now u can see ther xz so mny services hav stopped working ? can’t I just start them or so? omg, would that mean we’d need a new computer? Services are simply background processes that perform many tasks on your computer. They do not appear in your point-and-click graphical user interface, and instead operate behind the scenes. 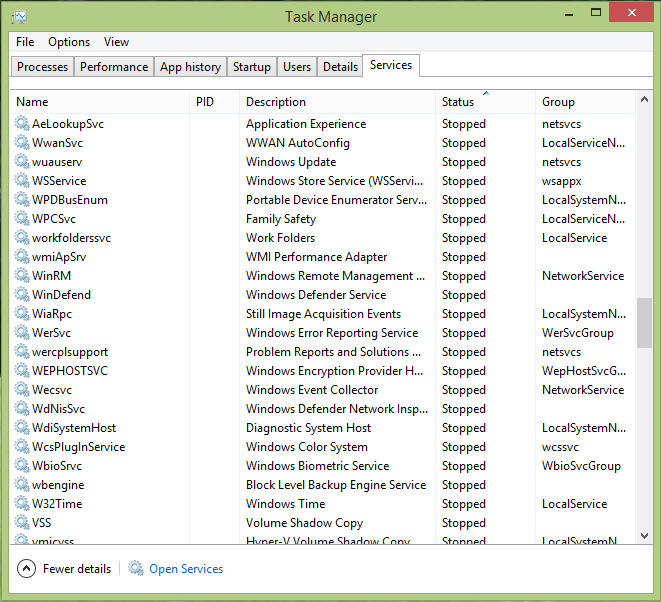 To take a look at which services are running on your PC, simply press CRTL ALT DELETE, open the Task Manager, and then click on the Services tab. Here you will see that some services are running and some are not. This is not a problem. Services are designed to automatically start and stop when they are needed and when they are not; and, as Elise points out at 8:24, a stopped service can be started manually. Just right click. After showing us what was wrong with our computer, Mr. Z needed a scapegoat. Computers don’t just stop working on their own, mind you. To explain why we had undeleteable files that were disabling our services, Mr. Z pointed the blame at our “incompatible” and “useless antivirus”…Emsisoft Anti-Malware! 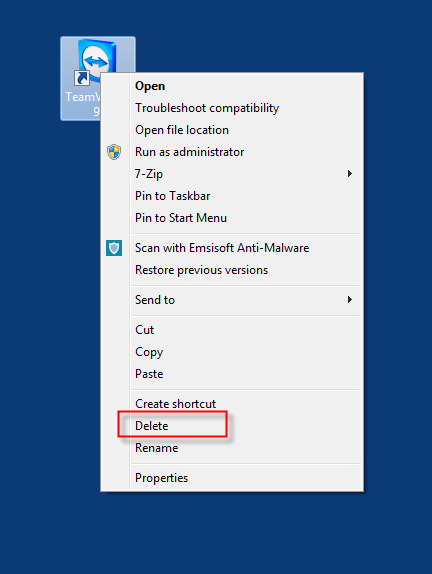 Right click on your Emsisoft Anti-Malware shortcut, choose Properties, and then click on the Compatibility tab. You’ll see a drop down Compatibility mode menu which allows you to manually set the operating system for Emsisoft to run on. This menu was Mr. Z’s proof that Emsisoft Anti-Malware was incompatible with our computer!!! Now, we were willing to play dumb…but not that dumb, so we pressed this whole incompatibility issue by running a scan. but it runs, I mean, I can’t trust what it says? u paid for tis antivirus or its free ? how much un paid ? or u paid yearly or monthly or something like tat ? do you know what I could use best? Emsisoft Anti-Malware was indeed working. 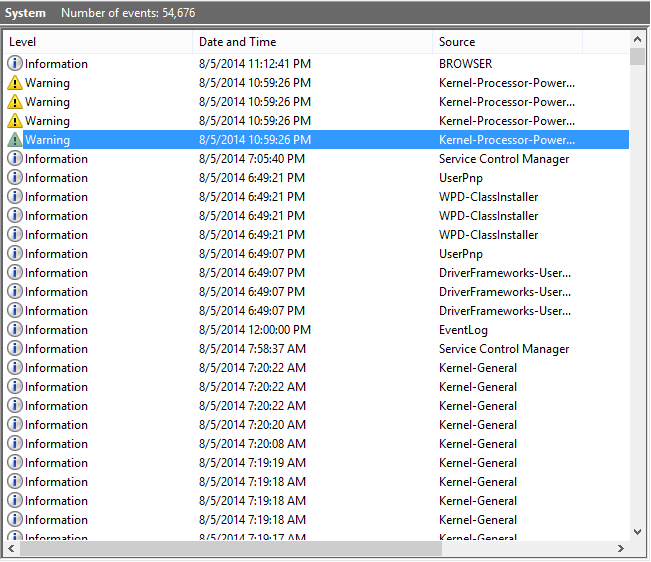 It was detecting the malware we had pre-loaded onto the virtual machine before the TeamViewer session even began! Now that Mr. Z had shown us the error of our ways, it was time to start problem solving. As he had so clearly shown us, we were running a useless antivirus that was allowing undeleteable files to disable our services! To provide a more accurate diagnosis of the situation, Mr. Z began by scanning our computer’s brain. what z wrtten over there ? yes, do you knw wat z trojen virus ? First of all, these messages have nothing to do with running tree c: /f. 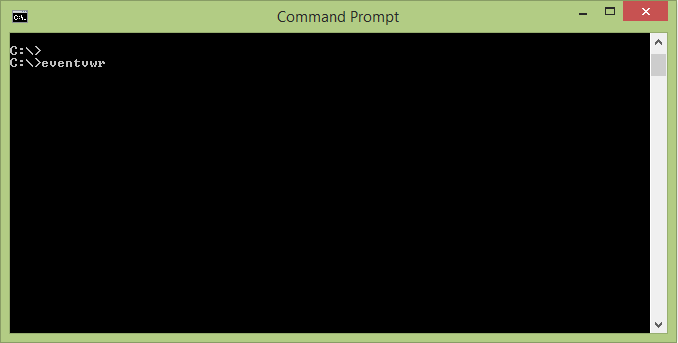 If you type the command yourself, you can see that none of them appear after the command has run. So how did Mr. Z make it look like his brain scan had produced these results? He typed them into the command prompt. And by the looks of it he used a broken keyboard. Just as you can tell your computer’s command prompt to run tree c: /f (or any other command for that matter), you can also tell it to run warning!!! This isn’t a command the command prompt recognizes, though. In fact, if you take a closer look you’ll see that this lack of recognition is indeed the prompt’s response. Mr. Z was now moving in for the kill. Having used his extensive technical knowledge and highly effective brain scan, he had shown us that our computer was infected with “trozens.” Mr. Z. wanted to be absolutely sure that we were aware of the dangerous, though. Mr. Z needed us to understand what these “trozens” were… and to Mr. Z, there was no finer way to do so than through Wikipedia and Google. 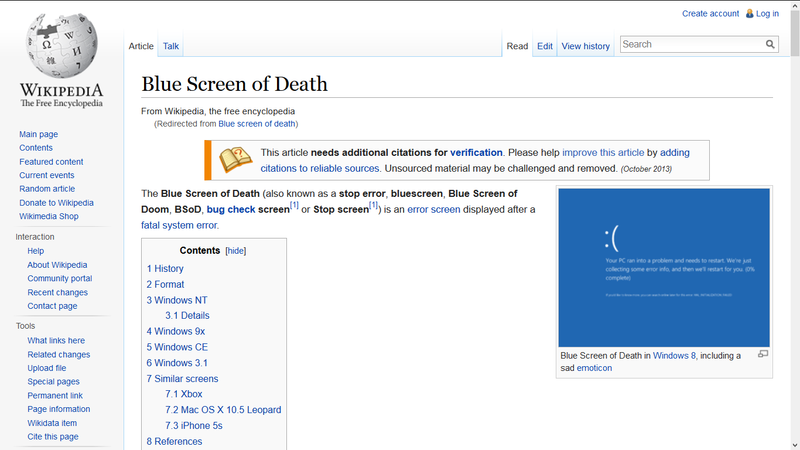 ok m gonna type trojen in the google n let see wat it says …..
can u see the blue screen ? do u do INTERNET BANKING ? OR SOMETHING LIKE TAT ? hav u read tat thing ? m asking u something? you shuld nt do tat things UNTILL N UNLEWSS u do nt remove th TROJAN VIRUS from your COMPUTER . now do u undrstand , wat z TROJAN ? 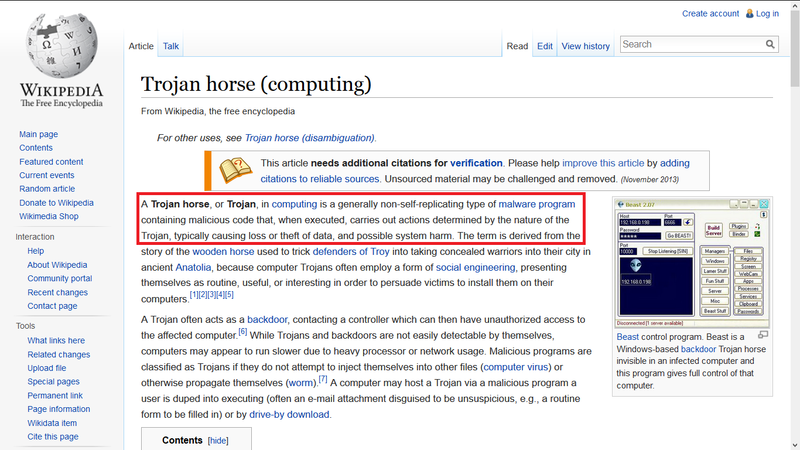 There is a Wikipedia article about Trojans. It had now been over an hour on TeamViewer. In all that time, we had learned about warnings and errors, undeletable files, stopped services, ineffective antivirus programs, brain scans, and the dangers of “trozens” by way of Wikipedia and Google. Thanks to Mr. Z, we were now completely misinformed and “desperate” for an answer. Lucky for us, Mr. Z had a solution. How a Microsoft Tech Support scammer fixes your PC. By now of course we weren’t even sure if we could still play along. Mr. Z had provided over 2 hours of tech support… and now he was trying to get us to pay for extended service, with poorly written ads pasted into Notepad. In all honesty, this final tactic put us at somewhat of a loss for words, but after some careful consultation with a few of our friends from Bleeping Computer, we eventually developed an adequate response (continuing the conversation in Notepad). Not to anyone’s surprise, Mr. Z denied all allegations of being a scammer until the very end. Moral of the story? Some people will do anything to scam strangers on the Internet, even if it’s more work and less pay than getting an actual job. Don’t let them scam you. Have a great (Mr-Z-free) day! * Note: All of “Mr. Z’s” spelling and grammar has been left in its original form. If you can’t understand about half of what he’s saying, don’t worry – neither could we! In general, grammar like this – regardless of language – is a telltale sign that you’re dealing with a fraud.